In order to grow dynamically, we combine the regulatory and statutory demands with the methodology of a process-oriented and learning organisation. Highest achievments are based on a quality management that is regularly examined in its efficiency by means of self-inspections and audits by either authorities or customers. Lichtenheldt is certified according to the international standards ISO 9001, ISO 13485, and according to the EU-GMP for pharmaceuticals. 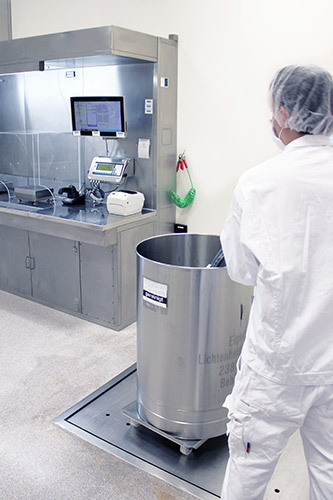 In addition Lichtenheldt is registered by the FDA as supplier of medical devices. Highest quality demands shall reflect themselves in permanently excellent results. Therefore we implemented the Business Excellence Model of the EFQM (European Foundation for Quality Management) in 2004. All parts of our organisation are considered systematically to establish and improve procedures that lead to a lasting positive development. To grow the business with our partners we continiously interact with customers, partners and relevant stakeholders, in order to increase customer satisfaction, quality and motivate our employees and improve business process.